I’ve always been a fan of indigo – there’s just something so luscious about the colour I simply cannot resist. I also go crazy for stripes – so obviously, this kimono caught my eye immediately! Of course, the placement of bamboo on the sleeves, and the bold, cheerful patterns along the hem helped roping me in. 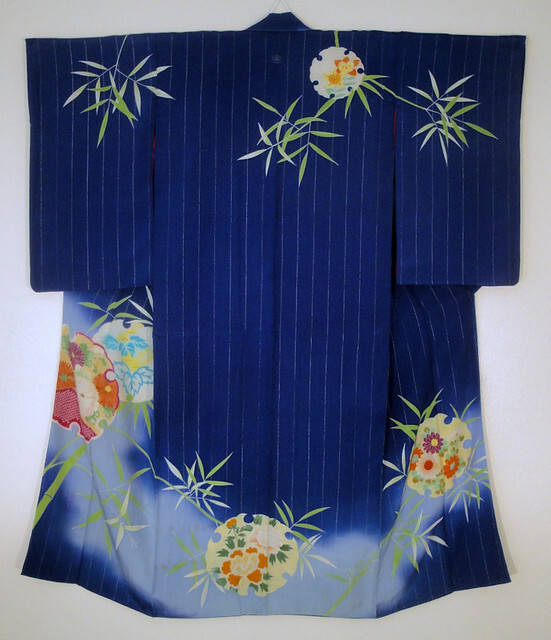 What I find particularly fascinating about this kimono is that it shows an interesting evolution in design and formality from Taisho era to modern kitsuke. Today, stripes are considered an informal pattern. Seeing they repeat over the kimono – they are generally classed as komon, which is a step above the formality of yukata, but considerably less formal than iromuji, tsukesage, houmongi, iro tomesode and kuro tomesode. While this kimono has stripes, it is obviously a crested houmongi. I have another Taisho kimono which again, is a formal kimono (3 crested and a matching dounuki), yet, again is striped. Was it simply a fashion fad over a few years? 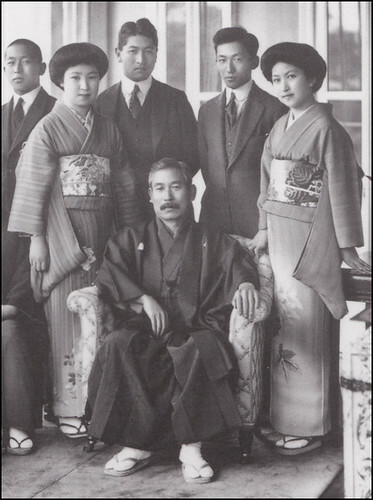 Did they have the same level of formality as unstriped houmongi/tsukesage? Did a certain age group wear them? Pregnant Kitsuke - 27 Weeks Pregnant!